The workplace is evolving. Co-op is your competitive edge in a complex world. Let us guide you through. Looking to hire? Make BU your recruitment partner of choice. Get in touch today. There’s more to a person than a resume or job title. People bring a collection of skills, passions and experiences to every new position. 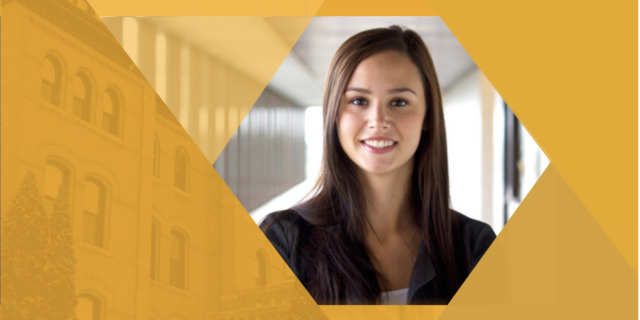 Whether you are a student looking to take your education to the next step, or an employer searching for new talent, Brandon University Co-op will connect you with great career opportunities and candidates just right for you. That’s because Co-op is not a job-placement program, but rather, a learner-centric model giving students and employers an enriched experience putting academic knowledge through real-world applications. Each work term is developed in partnership with the employer and approved by the Co-operative Education Program as a suitable learning environment. Students engage in productive work for which they receive remuneration. Students’ performance in the workplace is supervised and evaluated by their employer. Student’s progress during their work term is monitored by the Co-operative Education Office. A work term is defined as a minimum of 12 weeks (or 420 hours) to 16 weeks full-time paid experience. Co-op programs begin and end with an academic term. Co-op Students complete the normal academic curriculum while integrating three work terms into their program. Each work term is developed and monitored by the employer and Brandon University. Each Co-op work term is evaluated as a suitable learning opportunity by the University and students continue to interact with the University for the duration of their employment. Each 4 month work term is registered as a Co-op Work Term course and a non-refundable 3-credit course fee applies. Courses are evaluated on a pass/fail basis. Upon successful completion of all program criteria, the Co-op Education designation will appear on the student’s academic transcript and degree parchment.